The bungalow is nicely decorated & comfortably furnished throughout, carefully equipped & in excellent condition with full double glazing and gas central heating. On an elevated site looking out over the roof tops of Keswick with a panoramic view West, from Catbells across the Bassenthwaite valley to the Skiddaw range. There is a patio area at the rear & garden furniture is provided for the summer months. The lounge/diner has a flat screen colour television, DVD, video & an electric fire. The kitchen has high quality pine wooden units, an electric oven & hob with extractor fan, refrigerator/freezer, microwave, dishwasher and washing machine. 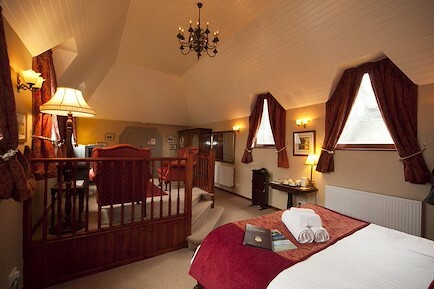 Bedrooms - a double bedroom with wall mounted flat screen TV; twin bedroom (single bed with full size, pull out guest bed). All beds have duvets quilts and good quality linen. Please bring your own towels (arrangements can be made to provide towels on request). The newly refurbished bathroom has a bath with shower over, toilet & basin. Your dog is welcome provided it is never left in the bungalow unattended and that you are careful not to allow it onto the beds or furniture. You must ensure there is no evidence of your pet in the bungalow or outside when you vacate the property. The bungalow has a lockable garage for bike storage and enclosed rear garden with wooden table and chairs. Travelling west towards Keswick from Penrith on the A66 take the first turning left signed to Keswick. Turn right at the junction with the A591 from Ambleside and head downhill past the Twa Dogs public house and continue on until you have passed the Fire Station. Turn left into Blencathra Street which bends to the right after 50 yards. Just past the right bend turn left into Skiddaw Street, past the Convention Centre and go up the small rise. Grizedale Close is the first turning on the right half way up the rise and No3 is the second bungalow on the left hand side. Your enquiry will be sent directly to Grizedale Close, 3. Please fill in as much detail as you can.